With firm commitment to quality, we have been able to provide the customers with an excellent range of Industrial Carbon Vanes. This range is widely used in various industries which includes paper mill, printing, pharmaceutical, engineering, chemical and petrochemical industries, owing to its excellent performance and long service life. These products are available in both custom-build and standard specifications to meet the distinctive requirements of our clients. We are instrumental in offering a wide range of Industrial Carbon Vanes to our esteemed clients. Our products have high resistance to corrosion and offer long life performance because we use the best grade raw material in their production process. 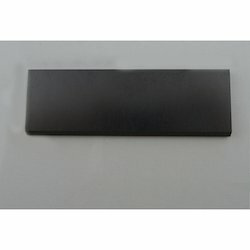 We provide Graphite Vane Blade for Sugar Mills.